How might we have kids do, think, and reflect on what it looks like to internalize a growth mindset? Our proposal aims to reinforce growth mindset and the application of effective effort through an engaging, play-based micro-curriculum. Growth mindset interventions often have short-term gains but no long term results. To address this gap, there is a need for scalable interventions that teachers can consistently apply in the classroom to improve student learning. This initiative explores the potential of play and embodied learning as key components of long-term educational interventions. We conducted U.Lab based case clinic coaching circles surrounding an issue we had with our own learning mindsets. Based on this experience, we learned about the power of storytelling, taking charge of our own narratives, and how images, metaphors and gestures can act as visual shorthands for ideas, making them “stickier” and easy to remember as we develop strategies to move forward. As well, we learned about the value of embodied play through participating in Roger Manix’s performance gym over the course of 4 months. We discovered that we better realize and embody lessons when we laugh together, play together and draw from the cultural references and the stories that we physically share and experience. Before new behavior takes hold we need to listen to and address the mindset that drives behavior. 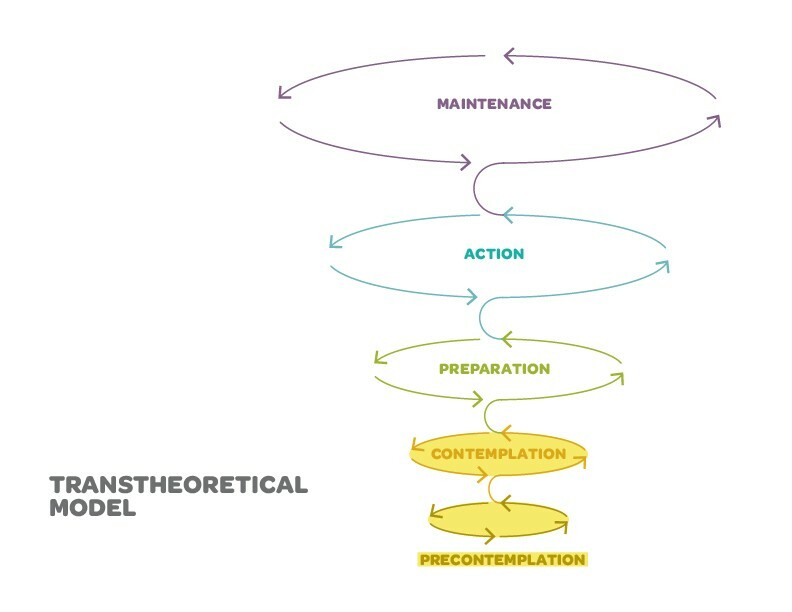 Our theory of change focuses on the early stages in the transtheoretical model of behavior change. This led to us determining our focus on the pre-contemplation and contemplation stages with children ages 9–10 years old. As a starting point, we conducted secondary research and conversed with Dr. Joshua Aronson, Associate Professor of Applied Psychology at NYU, whose research focuses on creating scalable interventions that teachers can apply in the classroom to improve student learning. Joshua’s theory of change for growth mindset interventions had been along the lines of 1) giving kids the science behind how their brains can change, 2) getting kids to own times they have got better at something, 3) giving strategies for making the brain change, and 4) having kids testify to others how they can change. In contrast, we worked on developing a mindset intervention at the classroom level that centered on how to actively engage with kids—our hunch being that a more embodied experience of the process might make for a stickier intervention. We also spoke with Kevin Mattingly, Professor at Columbia University Teacher’s College and Director of Co-curricular at Riverdale Country School, about the importance of reflection and applying effort effectively when teaching students about growth mindset. Having experienced these theories of change first-hand, our proposed intervention aims to reinforce growth mindset and the application of effective effort through an engaging, play-based micro-curriculum. This curriculum consists of four main components: Embodiment, Visual Narrative, Game Play and Reflection. After many iterations and pilots with middle-school kids we designed two versions of our game, “Unstucky.” Different contexts require revised game play components. The first aimed at the children reinforces the application of different strategies or “key tricks” effectively to characters that are “stuck.” The second addresses a need for diagnostic tools that do not rate students by metrics originally conceived for research not the classroom. The game playfully surfaces students’ comprehension of growth mindset by differentiating between fixed and growth mindset tactical responses. Both are presented through characters, role models and influential figures determined from the results of student surveys. Similar to how learning itself is an ongoing process that builds upon the foundations of previous knowledge, our interventions were designed in a way that allows for accumulated learning, increased complexity and the opportunity for ongoing development. In the process of developing this intervention, we came up with a few key insights. First, in designing a game to be played iteratively, over time, we built in an action that leads to maintenance of, at the least, basic comprehension. This changed our understanding of the transtheoretical model from a linear process to more of a series of mental roundabouts that you enter, cycle through, and practice, before moving on to the next step when you’re actually ready. Second, in terms of research and design: growth mindset interventions often have short-term gains but no long term results. So in approaching the project from the needs of the students and teachers, it changed our understanding of the role our intervention would play. Rather than being a quick intervention whose success would be assessed through standardized methods, we saw it as an embedded part of the classroom routine that could lead to internalized knowing. Third, regarding the value and methods for design as a process, we learned that through design, we can find ways to connect our many learning experiences together. That’s something that we took from attending this performance gym, playing games, doing storytelling, and focusing on our own mindsets as part of the process. As designers, we interweave these learning experiences in a way that is meaningful and informs both how we guide ourselves and how we guide those we are designing for. In discussing our learnings from the pilot, one characteristic that was evident in the projects was the agility and mutability that they both exhibited. Similar to how learning itself is an ongoing process that builds upon the foundations of previous knowledge, our interventions were designed in a way that allows for accumulated learning, increased complexity and the opportunity for ongoing development. Through iterative prototyping of both the tool and its evolving gameplay, we are developing a play-based system that focused on how to build competence in growth mindset strategies and approaches. After participating in our pilot Dominic Randolph suggested that our intervention proposes several opportunities for development and alternate gameplay. As an example, he suggested that game play can begin simply with a few components, and as students build competence, the game can reflect that life’s challenges are more complex. Building on this idea our pilot group discussed the modularity of our game and how introducing additional variables such as disruptor, fixed or “and then” cards would challenge the game play. Similar to how there are ups and downs in a game of snakes and ladders, we discussed a version of game play whose aim would be to change the trajectory of the game from a fixed mindset back to a positive one. In examining the possibilities of our game, one piece of feedback that we received from the presentation attendees was how open we were as a group to the idea of building on what we already had produced. How can we bring the embodiment from the first activity into the video and card game? How can we better connect the different elements of the curriculum? How can the game play incorporate dialogue, collaboration and learning from others? What if game play was designed like an internal monologue for the character, with the different voices contesting one another? How might we introduce another variable, such as time, that would not require competition against one another or someone to win the game? 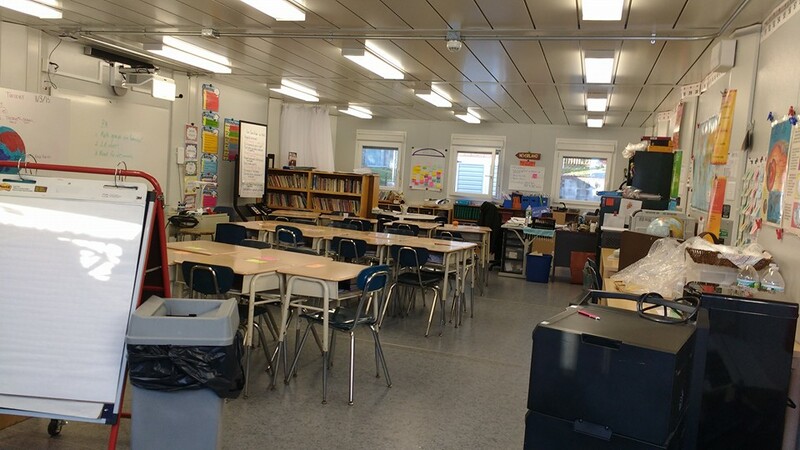 As we move forward with the project, we would like to give special thanks to Kevin Mattingly, Director of Co-Curriculum at Riverdale Country School, along with Karen Fierst, Lower School Assistant Head for Curriculum and Academic Programs, and the insightful students who helped pilot our micro-curriculum.